Nicholas Carr's 'The amorality of Web 2.0' has an underlying rhetorical premise that is flawed, and Tim O'Reilly's defence ignores this. Technology should be amoral. Morality is difficult stuff that should be left to humans to deal with. At best, technology can help inform humans to make moral choices, but to argue, as both sides in this debate seem to be doing, that technology can be moral in itself is to take a dangerous step. We have millennia of literature arguing against devolving moral choice to simple mechanistic reasoning, from the Solomonic compromise, through the cautionary tales of golems to the modern myths like Brazil. David Berlind and Walt Mossberg have picked up on this too, realising that code is not good at subtlety and judgement. Similarly the Censorware Project and the OpenNet Initiative document the shortcomings of using computers to decide whose idea can be seen online by crude keyword filtering. When designing software and the social architecture of the web we do need to think about these issues, but we must eschew trying to encode our own, or others, morality into the machine. Technorati passed 20 million blogs today. The 20 millionth was Les CE2/CM2 Anquetil, a blog from an elementary school in Reims, France, in the heart of Champagne country. They started the blog to celebrate running 2 miles in a Relay Marathon. I've talked about this before, but not written it down. One of the criticisms of tags is that they are 'just keywords again', which is true. The key difference is that they are experienced differently by the users, in a way that imposes much less cognitive load. 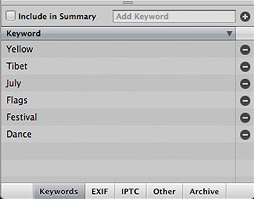 iPhoto has had an image keywords feature since it was first launched, but I don't know anyone who uses it. Conversely, Flickr's tagging is used by most of its users. Part of this is down to the effect of working in public rather than private, as discussed in another context in Cory's classic 'outboard brain' essay, where the sense of public performance changes the psychology of annotation. But a key part of it is the cognitive load of the user interface. With iPhoto, in order to tag something, you need to first dig around in the menubar to bring up the Keywords dialog, illustrated here. Then you need to create a new Keyword (which is buried under the popup at the top). Then you need to select the photos that you want to tag with that keyword in the main window, then go back to the Keywords window and click 'Assign'. one of those get-to-it-later eat-your-vegetables best-practice housekeeping tasks like defragging your hard drive or squeegeeing your windshield that you know you should do but never get around to. Being handed a list of keywords and asked to add your desired ones is in effect asking you to construct a personal ontology of the world; to break the world into categories you want to keep track of. To hold the entire universe in your head in one go, and chop it into meaningful chunks. That's too mentally exhausting for most people. Plus, as creating a keyword is a 2-stage process, it feels a bit like they are rationed. Then, the implied second task is to go and find all the pictures you have taken that fit that keyword. Again, this involves scanning through possibly thousands of images looking for the right one. Now these aren't actual constraints; you can just create one tag and apply it to one photo, but the process makes it feel like a big deal, and something that you should consider carefully before doing it. So hardly anyone does it. 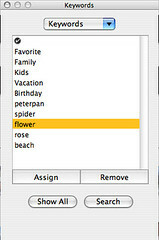 Conversely, Flickr prompts you for tags for each batch of photos you upload, and shows you each individual photo with a place to type tags in next to it. You look at the picture and type in the few words it makes you think of, move on to the next, and you're done. The cognitive load is tiny, because you have the picture in front of you and you can't help but think of words to describe it. Aperture, Apple's new application for professional photographers, seems to have come up with a better solution than iPhoto. It has a pane in the general photo view that lets you freely enter keywords (one at a time, by the look of it, but I assume they go into the list below as you do so). However, the list of tech specs includes a long list of predefined tags. This is puzzling - why do they feel the need to list tags for 'Bridesmaid' and 'Groomsman' and so on as a feature? The Battle of Trafalgar was fought 200 years ago today, preventing Napoleon's fleet from invading England. Admiral Horatio Nelson died during it. He was commemorated by Robert Graves in the poem '1805', so I'm posting this public domain recording of Robert Graves reading 1805, courtesy of the British Library. Resolving a problem by re-stating the obvious is an increasingly popular conversational gambit. For example, how many times have you phoned up a monolithic corporation to complain about bad service, practically spewing tears as you relive the 15-month frustration you've just been through, only to be told: "I hear what you're saying"? As if, though on the phone with you, they weren't hearing what you were saying but were in fact hearing what a Tweenie was saying, or even doing something entirely unconnected with hearing what someone was saying, like launching a cruise liner or putting sausage-meat inside a car battery. Of course they are hearing what you're saying, but it's no more effective a solution to your problem than declaring: "I'm sitting on my buttocks." Daniel Cuthbert has been convicted of computer hacking and fined $1000 for typing a URL into a browser. The Open Rights Group is being set up to fight this kind of idiocy. Go and pledge your support today. What are the top five issues you think are important in the world of social media in business? What keeps you up at night? What should be taking centre stage at BlogOn 2005? Are you ready to talk honestly in public, and avoid the ritualised language of press releases? Can you accept that having your words easily indexed and found is an advantage rather than a problem? Are you prepared to join the conversation, by linking, tagging and comments, and responding to criticism on your own blog? Do you realise that faking blogs is worse than ignoring them? Will you remember that the Web is made by people, not machines, and if you abuse their trust, they will tell everyone about it? I'd like to pass this on to Tom Coates, danah boyd and Doc. On the question of which file formats succeed, the answer is those that are resilient. The ones that provide a method for expansion, and a way for multiple versions to coexist safely.Backwards compatibility is a necessary part of this, but it is not sufficient - forwards compatibility is what wins out. In each case, these define a way for different versions of the same format to coexist by defining that it is OK to discard elements you don't understand. This provides baseline compatibility (old parsers generally don't crash on new data, unlike more naive formats), but still requires work to define the sub elements of the format to interoperate. It provides for graceful degradation, with older or less-featured clients able to display the subset they understand, rather than balking completely. If you replace an element with a more general one, you may need to continue to include the old version for the previous generation of parsers. Having worked at Apple on QuickTime for 5 years, and spent 10 years before that tracking it, I've seen that it does take some care to adapt and update in a way that will not break old clients, but the benefits for users of your format are immense (the unofficial motto there was 'no movie left behind'). Of course, if your users are happy, this helps your adoption. HTML took this from SGML, and in many ways expanded it further due to the toleration of sloppy markup from user-agents, to the point where people writing parsers had a bit of tough time of it. XML was an over-reaction to this - it instituted draconian parsing by design, and effectively gave the green light for everyone to make up their own format without consideration for others at all (with namespaces as a figleaf to cover this, and coerce coexistence post hoc). Microformats build on the older model of backward compatibility through selective enhancement. This is a bit more work for the parser and format designer, but much less for those creating data using the format, who can readily pick up the latest version to enhance their existing HTML without harming their other uses. 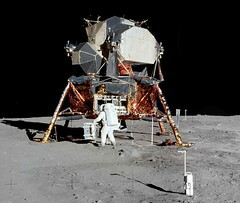 "It's like this: engineering is all about constraint. Given a span of foo feet and materials of tensile strength of bar, build a bridge that doesn't go all fubared. Write a fun video-game for an eight-bit console that'll fit in 32K. Build the fastest airplane, or the one with the largest carrying capacity... But these days, there's not much traditional constraint. I've got the engineer's most dangerous luxury: plenty. All the computational cycles I'll ever need. Easy and rapid prototyping. Precision tools. Working with constraints is what makes for good Art, and good Engineering, whether the constraints are cultural or structural. Without shared meaning there can be no communication. Microformats work to converge shared meaning without disrupting other uses, and to enhance rather than replace what you are doing already.